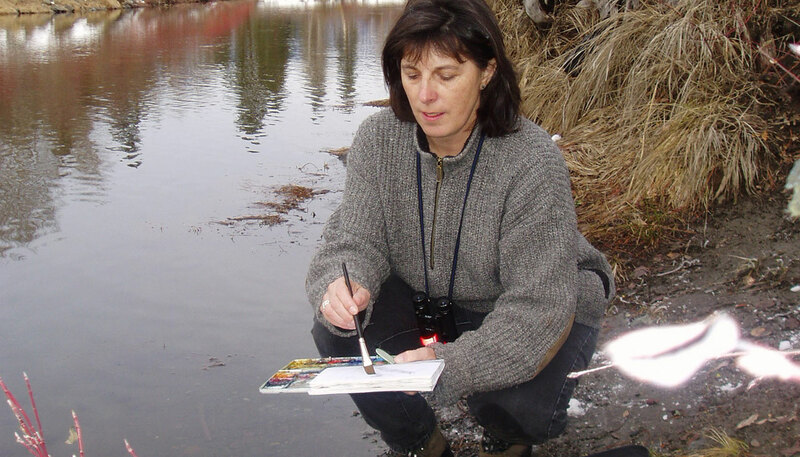 After studying mink tracks, vegetation, and wildlife near the Icicle River in Washington, Heather Murphy records her findings in her field journal and paints the scene with watercolors. 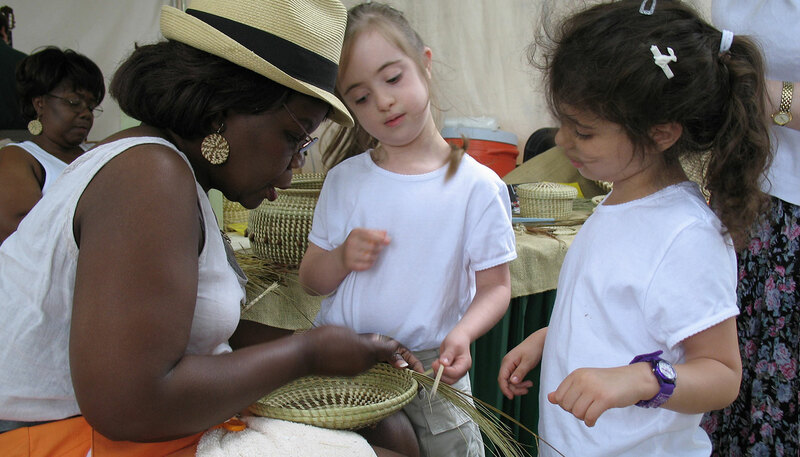 Many artists participated in the 2005 Smithsonian Folklife Festival, including seagrass basket weaver Henrietta Snype from Mount Pleasant, South Carolina. Photo by Joe Furgal, Smithsonian Institution. Artists have always looked at things differently. They have an uncanny ability to see things that most of us miss and then find a way to make us look again. They even have a way of engaging us so that we experience life and the world around us with more depth. Nature has always been a favorite subject of artists—whether they are painting the Rocky Mountains, photographing the Midwestern plains, singing about life in the country, carving a decoy or a flute, tying a fly, reciting a poem or telling a story, building a boat, or just dancing for the sheer joy of a sunrise. Many artists use parts of nature to create their work. The potter’s clay, the basketmaker’s sweetgrass or ash tree, the totem pole carver’s wood. Some artists use the very land and water as part of their art, creating special places where we can both relax and learn. For many of these artists, access to such raw materials is both crucial and at risk. For others, their interest in the beauty of the natural world drives them to educate others about the natural world we cherish but often destroy. This Web site features projects involving artists who, through their work, educate the public about conservation. Sometimes the projects result in lasting works of art, but sometimes the works are temporary. Sometimes the artist simply has a new way of looking at things. We hope this Web site inspires more collaborations among artists and conservation educators. 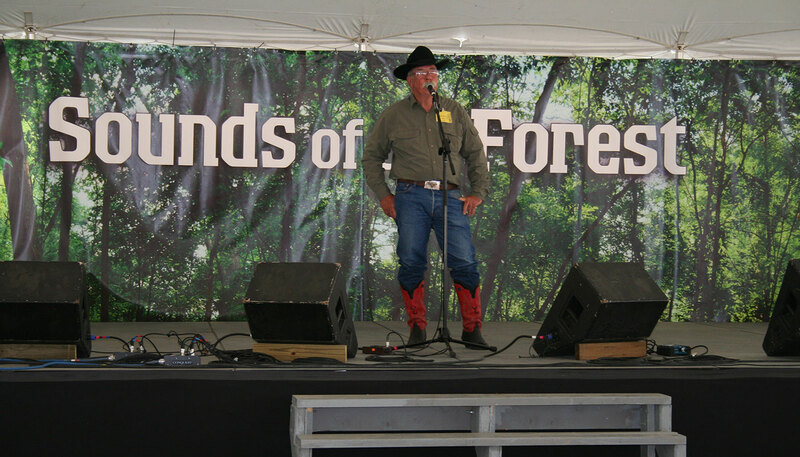 If you know of a project that you think should be here, please contact Jim Deutsch, the Web site’s curator.